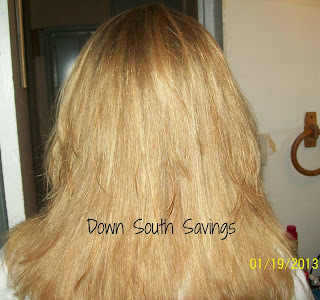 I recently had the opportunity to work with Flat Iron Experts to review a few of their products. 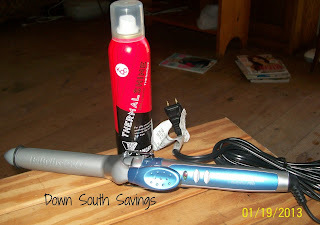 I received a Nano Titanium Babybliss Pro Curling Iron and KQC Thermal Shine Spray. As a Licensed Cosmetologist for the past 10 years, I'm always excited to get to try new hair and make up products. I did my review on my 11 year old daughters very thick head of hair. As you can see she has very straight hair and lots of it. I started with the KQC Thermal Shine Spray and sprayed the hair in sections before curling. It smelled really good and it was not too greasy feeling as you get with a lot of shine sprays. The Curling Iron has an adjustable heat knob so I turned it up pretty high and only left it on each section for about 20 seconds and this was the end result. 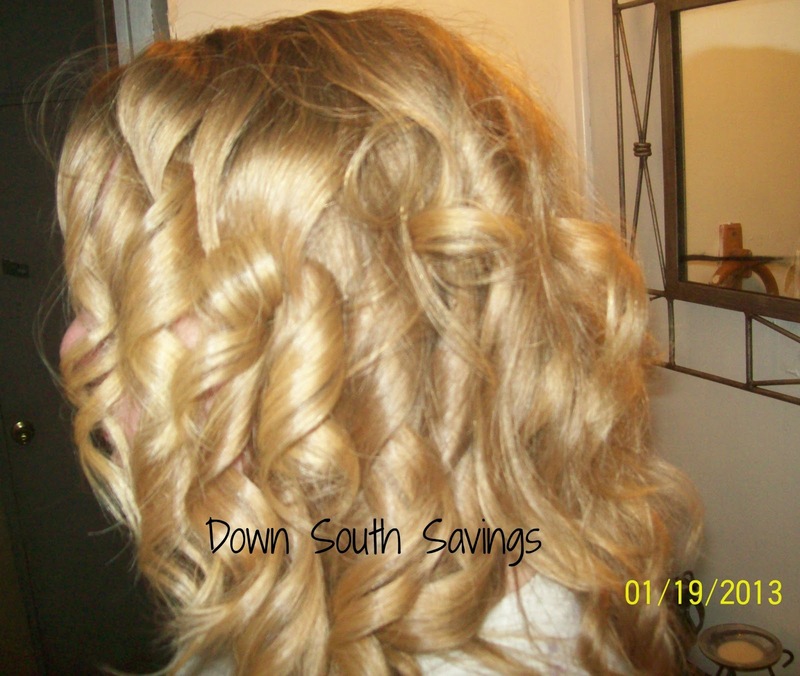 Very pretty curls. It only took me about 10 minutes from start to finish. The only downside to this curling iron is the very short end piece that you would normally hold with your other hand. If you're not careful you will burn your fingertips trying to hold on to it. Overall I was pleased with my curling iron and the spray and would recommend it to others! Make the end piece a little longer and easier to hold on to, and it's perfect! Disclosure: I received the above mentioned products for review purposes only. All opinions are that of my own and may differ from those of your own.